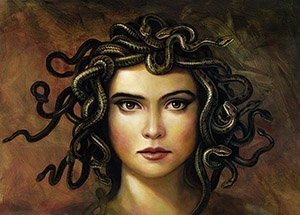 Writing dialogue can be akin to wrestling with Medusa. It’s a knock-down, drag-out battle with a mess of words that may as well be snakes – they are that slippery and hard to get the better of. All to ensure that a particular character’s voice will hit the page the way it sounds in my head. Writing dialogue is tricky. It isn’t exactly how people talk – it can’t be. No one would wade through pages that read like the transcript of an actual conversation. Believe me, I’ve transcribed enough research interviews to be sure of that. Conversation may sound okay when you’re present for it, otherwise not so much. 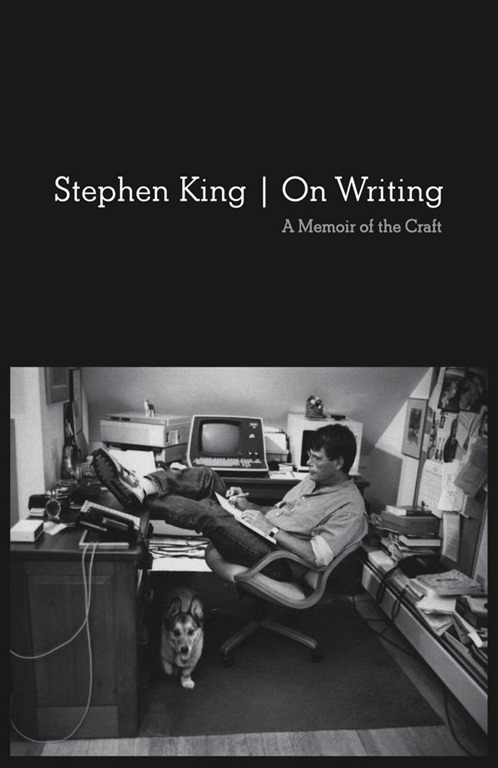 In his book, On Writing, Stephen King tell us that dialogue is a skill best learned by people who enjoy talking and listening to others. I love to write dialogue. When I block out a new scene it’s always in terms of what characters are going to say. Only later do I flesh out the setting, add the beats that allow pacing and the character attributions that keep the reader on track. The compass I steer by is my intimate knowledge of the characters. Here’s an excerpt from my newly released novel, Chasing Down the Night. See what you think? Izzy took the magazine from his hands and sat down on the sofa beside him. She stared wide-eyed at the full-page photo of a young woman who stood facing the camera in an elaborate, formal garden. The model wore a traditional white gown; the low-cut bodice was scattered with pearls and the train swept across the lawn behind her. She held a massive bouquet of pink roses in front of her at waist level. The fabric behind the flowers took on a dreamy glow. Her eyes were downcast; thick lashes shadowed her glowing cheeks. Izzy swallowed in disbelief. This is release weekend for the e-book edition of Chasing Down the Night. Please pop over to the venue of your choice and pick-up a copy. Early sales always boost an indie authors confidence. 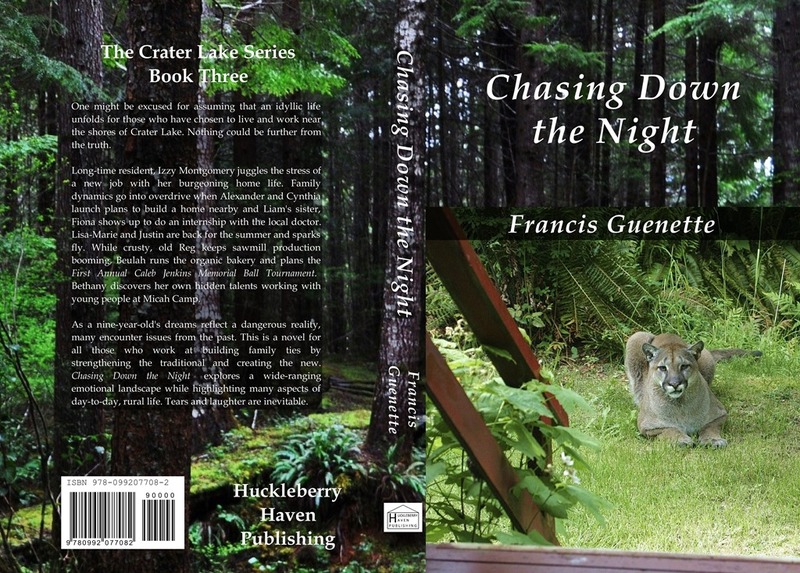 This entry was posted in Book Promotion and Marketing, Book Review, Photography, Reading, Self-Publishing, Teaching, Writing and tagged book excerpt, Chasing Down the Night, dialogue dos and don'ts, Medusa art, new release. 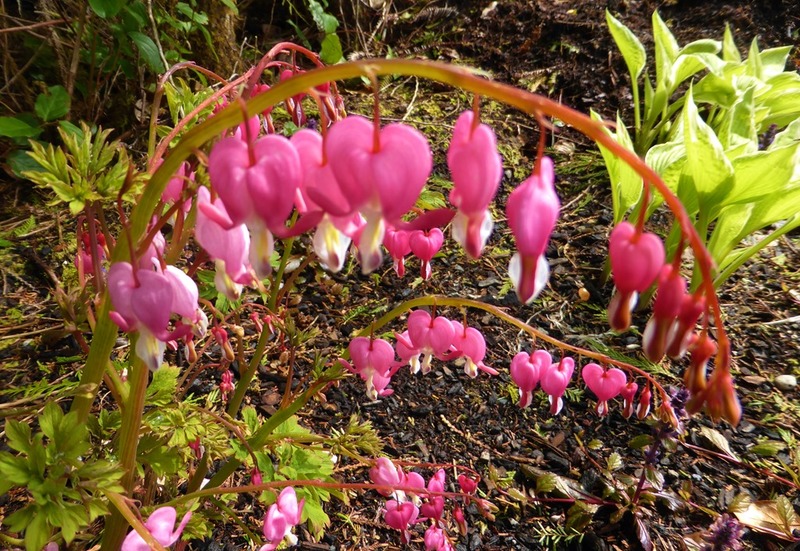 Love the bleeding hearts. Used to have a plant in my garden. Yes, dialogue, Hmm! I thought the bleeding heart might be appropriate for all the promo stuff of late. Thank goodness the new releases only come around once a year. Congratulations on release weekend. I enjoyed the excerpt. I also tend to write the dialogue first. Filling in afterward is so much harder. Thanks you for the kind words, Nicki. Not sure why, but I just always find what people say as the logical starting point to any story. Haha, nice scene. It’s the first time I’ve considered this Francis (and Behind the Story ^^) I’ve only belatedly started to consider dialogue of any real importance in a story. But I guess in character-led and relationship-led stories then it must play a major role. And differentiating between characters is something I’m only getting the hang of slowly. Writers seem to fall into one of two camps, Roy – those who start with the dialogue and those who don’t. What people say is most certainly a good way to move a story forward – not the only way – but a good one. We are all learning as we go in this business. Glad you liked the scene. Dialogue is essential to fiction, but very difficult to write as you’ve pointed out. And how much? And what about dialect, speech patterns, distinctive character voices? It’s a tough road. I read dialogue out loud sometimes just to check. Would a real person really say that? Depends on your character, of course, but it’s a fine line. I do exactly the same thing. Read out loud and then go away and think about it. Sometimes my editor will tell me, “It’s up to you but I just don’t hear Liam saying that.” A second opinion from a person who knows the characters really well is always helpful.